NOW is a GREAT time to buy a new home!! March 7, 2013 - NOW is a GREAT time to buy a new home!! Timing on buying a new home at Lexington Park in Des Plaines has never been better!! We have just released our last phase of construction for sale. Choose from 3 different floor plans offering state of the art features including a 10 Year Warrantee!! Move-ins range from June – October 2013. Choose the home that best suits your needs, customize the features that will go into your new home and if you work with one of our preferred lenders, they will LOCK YOUR interest rate in for up to 9 months!! So as interest rates increase, you are protected! 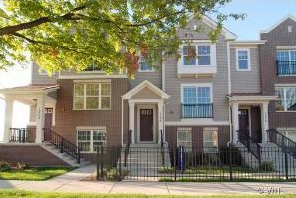 Lexington Park has been one of the fastest selling new communities in Chicagoland! We are conveniently located to all major expressways, O’Hare International Airport, and Metra station is just a short 4 block walk away offering you a quick stress free commute into the city of Chicago. Stop by to view our beautiful models and see why Lexington Park has been such a tremendous success!! We are located at 1238 Harding Ave, Des Plaines. 847-299-0500. Prices range from $242,900 – $272,900.